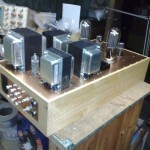 The post Valve Regulated 300B appeared first on Longdog Audio. Circuit is a C3g Pentode voltage amplifier with VR tube screen regulator, then 300b driver to 1:1 amorphous interstage to GM70 grid. Output TX 7k amorphous. 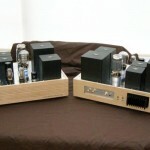 The post 300b/GM70 Monoblocks appeared first on Longdog Audio. The post 211 A2 Amp appeared first on Longdog Audio. The post Moving Coil Direct Input Valve Phono Stage appeared first on Longdog Audio. 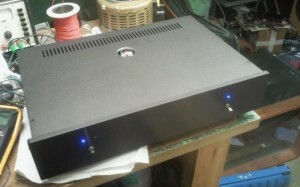 Valve phono stage using a JFET/ECC88 cascode to provide the gain and low noise of a solid state stage without the sonic cost of silicon and all the overload and sound advantages of valve stages. Simple loading adjustment through RCA plugs loaded with resistor provides varying cartridge load. 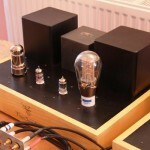 Traditionally there have been two ways of hearing your moving coil catridge, either the low noise capabilities of solid state (often commodity op amp) designs, or the increased transparency and tone of valve phono stages but then needing a step up transformer to provide adquate signal to noise ratio of low output cartridges. 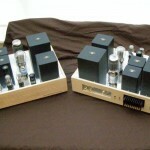 After experimenting with various phono stage designs, I came to the realisation that neither of the two tranditional methods actually let you hear what your cartridge was capable of. 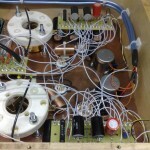 Using a hybrid design with a single ultra low noise JFET in a cascode arrangement with all valve stage following, you could get the best of both worlds, and have the low noise and accuracy of solid state designs, but the phase correctness, tone and overload margin of an zero feedback, single stage eq valve stage. 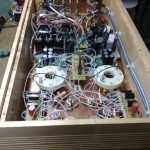 The following pictures are of the first build of this design that has progressed beyond my workshop and listening room, and its now playing music through its owners system. The next step is to reproduce the electronics but this time in non ferrous casework with machined and lettered front and rear panels. Though I think the plain front looks rather nice as it is. Right from the very off once the very cool blue light has stopped flashing after warm-up it’s very neutral, open and dynamic, the bottom is lush with no over extension or smear and after 5 minutes or so it starts to tighten and open up even more. I’m running this through a Radford STA 25 Renaissance (EL34) with the SC-25 Valve pre. The turntable is a Thorens TD124 MKII with an Ortofon Rondo Red MC. Speakers are Dali Helicon 800 MKII’s. It certainly got punch especially on the likes of Led Zeppelin III, Roxy Music – For your Pleasure – Stone Roses, David Bowie – Ziggy Stardust. Coming back from the Turkey farm after not having a phono stage for a short while I must say that this stage certainly is different to my last stages. Its more realistic, natural and not shouty like some are. Itâ€™s also not soft or woolly, it has presence, weight and really does reach down deep for those details. No distortion from what I can hear and is very quiet indeed. It handles mono recordings with such ease. Sgt. Peppers Y/B original Mono pressing has such a lush sound and Small Faces Autumn Stone sounds rhythmic and loud bringing out all of that lovely studio amp buzz. Blind Faithâ€™s â€˜Do what you likeâ€™ has one of the best drum solos ever to which sounds utterly superb and Stevies Hammond lead-in reprise is so funky. It sweeps in like it shouldâ€¦ with gusto. Respect to Ginger! Pulps â€˜The Wicker Manâ€™ from the album â€˜We love lifeâ€™ has some great under watery sounds as well as the lovely Jarvis tones and it really does take you there â€“ not that you would want to go there in the first place. Iâ€™m from Sheffield myself and believe you me; the mentioned concrete channel really does exist! I love it!… I’m finding myself switching it on a lot more often in the last few weeks of owning it. Previous to this stage I had the NVA Phono 2 and a PS Audio GCPH-100 and it really knocks the socks off these. I’m finding the sound becoming more and more natural with each day. It gives the clean lines of CD but with realism, pace and none of that forwardness and un-relentless consistent fatigue. 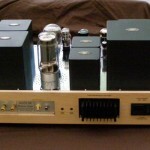 The post Fully Balanced Valve Preamplifier Bp1 appeared first on Longdog Audio. 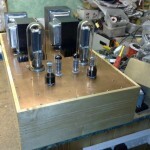 The post D3a Driven 2a3 appeared first on Longdog Audio. 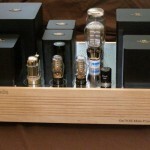 The d3a is a great little high gm pentode to strap as a triode for use driving smaller DHT’s. Its not got enough grunt for a 300b. But it sounds wonderfull driving 2a3 or 45 (and if I could afford them the British output DHT’s). 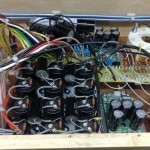 Valve rectifier and choke power supply. CCS loaded d3a for linear operation. Audio Note copper PIO coupling caps. 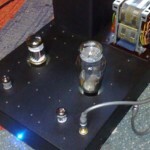 The post Moving Coil Valve Phono Stage With Valve Regulated Supply appeared first on Longdog Audio. Frequency response within 0.1dB of RIAA from 20Hz to 20kHz. All filter components hand matched to within 0.1% tolerance. 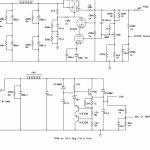 Single stage high accuracy EQ provides stable imaging and wide soundstage. No feedback used in signal path. 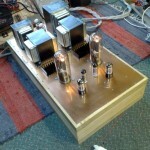 Valve complement 2 off ECC83/12AX7, 2 off 6072a. 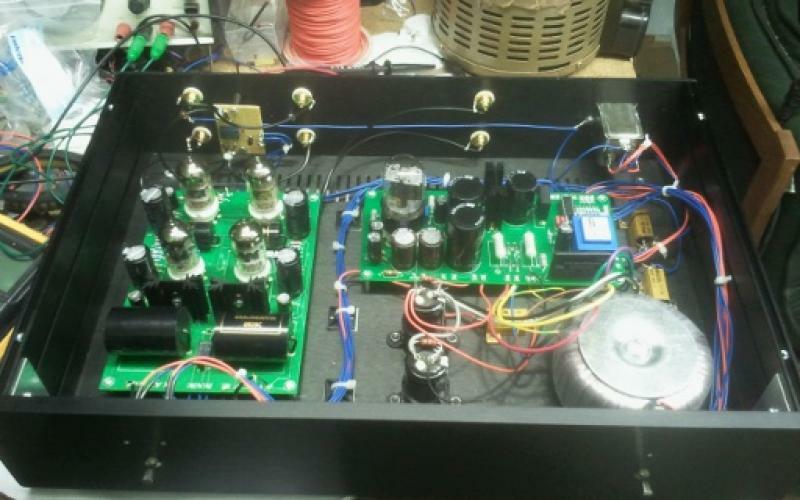 Valve regulated power supply using 6EM7 Compactron dual triode for ultra low hum and noise. Good quality components used througout. Takman carbon and metal resistors, ICW Clarity Cap SA capacitors. Can be supplied with moving coil step up transformer installed eg Lundahl LL9226 or Sowter 9580. The pictures show the first protype of the stage undergoing final check and testing before going to its new owner. The pictured model has relay switched dual inputs. The post Longdog Audio At Whittlebury appeared first on Longdog Audio.